The UCLA Housing and Dining team is responsible for much more than just beds and meals. Team members take care of the details of daily life so students can focus on learning, exploring and growing. 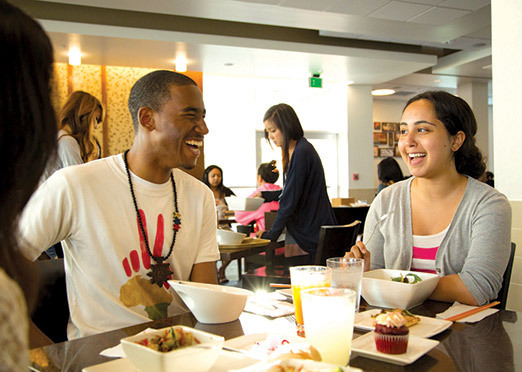 The UCLA Housing and Dining staff creates a place where residents feel safe, welcomed and cared for, in environments that help students form friendships, make choices that help them thrive, and create connections that will carry them into the future. The goal of UCLA Housing and Dining is to make the UCLA living experience a touchstone of excellence and a source of Bruin pride, helping to create memories that will last a lifetime. 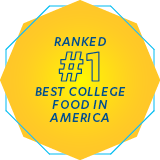 Voted #1 best university dining in America in both 2016 and 2017, award-winning UCLA Dining Services is one of the largest self-operating university dining programs in the country. It is nationally recognized for its high quality cuisine, state-of-the-art facilities, innovative services, and sustainable practices. As the largest department in H&HS, more than 600 team members prepare and serve fresh, healthy and delicious meals every day to students, faculty, staff, and visitors. Serving more than 6.5 million meals per year in four large all-you-care-to-eat restaurants and five quick-service locations, the hard work and dedication of the Dining Services team — from the Chefs and cooks, to the servers and dining room attendants — is critical to the satisfaction of students living in UCLA’s on-campus housing facilities. The Housing Services team manages student housing contracts which total more than 20,000 account transactions annually. 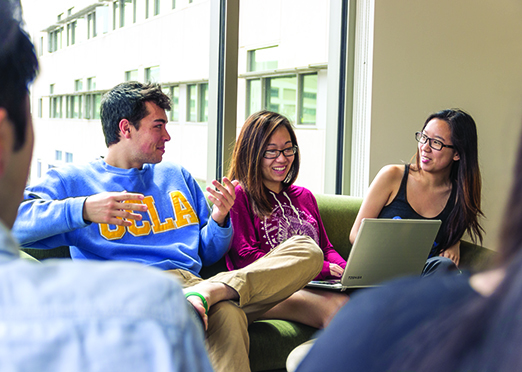 They also update and post relevant content on the Housing website and send out timely emails, so students have access to all of the important information pertaining to UCLA Housing deadlines, Move-In and Move-Out information, and more. 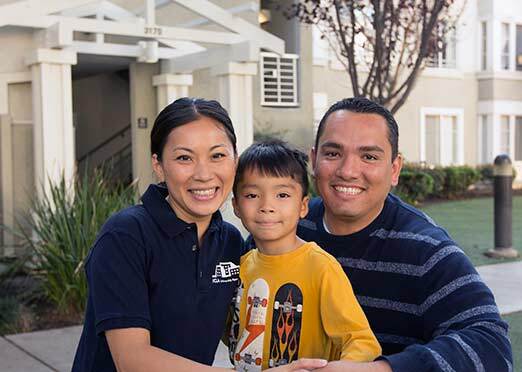 The Housing Services office is comprised of seven units: Accounting Services, Community Housing, Database Management, Housing Accounts Receivable, Housing Assignments, Housing Cashiers and Special Projects. The Rooms Division and Maintenance teams recently divided into two units to better serve both the on-campus housing facilities and University Apartments. 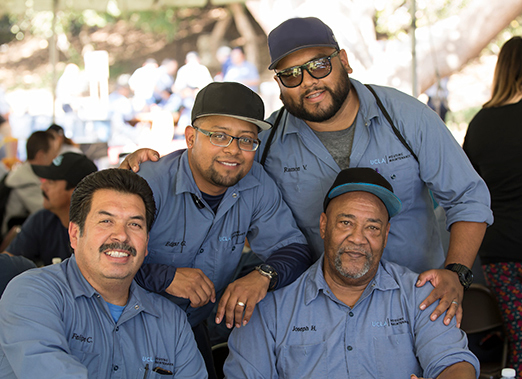 Together, they are responsible for operating and maintaining all of the H&HS housing facilities. These areas of responsibility include the front desks within the residential housing facilities, the access control and safety hubs within the buildings, housekeeping, and maintenance. The Rooms Division is also responsible for managing non-residential buildings within the H&HS community such as Carnesale Commons, Covel Commons, De Neve Podium Building, the Northwest Campus Auditorium, the UCLA Guest House and Tom Bradley International Hall. University Apartments (UA) owns and operates all of UCLA”s off-campus housing facilities. The UA system includes more than 5,000 off-campus apartments in 24 separate locations. This inventory includes University Village for students with families and Weyburn Terrace for single graduate students. Services provided by the University Apartment team members include rental office administrative services, resident relations, maintenance (buildings and grounds), and housekeeping. 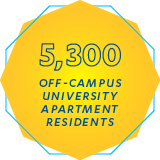 As of fall 2017, University Apartments was home to approximately 5300 residents occupying 5,000 rental units. Residents include graduate students as the largest segment, then undergraduates, followed by faculty, and then postdoctoral appointees.